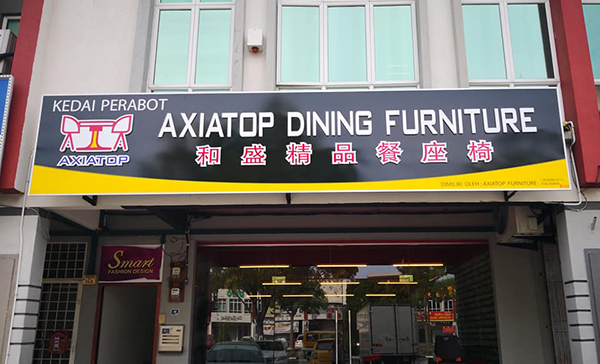 In Axiatop Furniture, we have many years of experience in supplying the latest trends of furniture to cafe, restaurant and bar. Our premise is based in Batu Berendam, Melaka, Malaysia. We feel proud that our products offer amazing value and it will worth client's spending. Instead of searching everywhere for quality products and design ideas, Axiatop Furniture has exactly what you'll need. We are backed by a group of sales executive who are dedicated to provide all kinds of design ideas to match your building. Our company goal is to accommodate your every furniture needs. We aim to provide high quality products to our customer at a reasonable price. Contact us now for more details as our team of enthusiastic and professional customer service team will help and discuss through your needs.